In 1982, two students from All Saints Episcopal Day School in Carmel Valley travelled to Hinche, a city of 30,000(1982) in the Central Region of Haiti, and established a relationship with Saint Andre’s parish and school. The relationships that were established, the observations that were made and the needs that were identified became the seeds of our ministry which flourishes today. In 1994 St. Dunstan’s arranged for the headmaster and priest, Pere Leonel Charles, to visit Carmel Valley for 10 days. He brought a message of hope and encouragement to the entire parish. Following that visit the parish raised over $45,000 to rebuild and expand St. Andre’s school building from three to twelve classrooms. The level of our support for all aspects of the school program increased dramatically during the late 1990s as did visits to Hinche from our parish. In November 1999 our rector, Fr. Jeff Kraemer, went to Hinche to participate in the dedication of the rebuilt school. In November 2000 Pere Max Accime, the St. Andre’s priest and headmaster, along with several others associated with education in Haiti came to Carmel Valley. Again our level of support and the amount of parish involvement grew. We currently support about one third of the school budget primarily through our annual scholarship drive to which over 130 individuals and families make donations. In the summer of 2003 a new priest, Walin De Camps, came to St. Andre’s School and Parish and provided new leadership by reinstating a hot lunch program, a computer lab and completing the secondary classroom level. Following the devastating earthquake in January 2010 there was a wave of evacuees from the quake epicenter. Saint Andre’s school and parish took in many of those in need and added an afternoon school program to meet the needs of displaced children. Thanks to the generosity of our parish members, friends, and families, we raised more than $10,000 in emergency relief to help. In 2013, the city of Hinche is now residence to over 75,000 people. 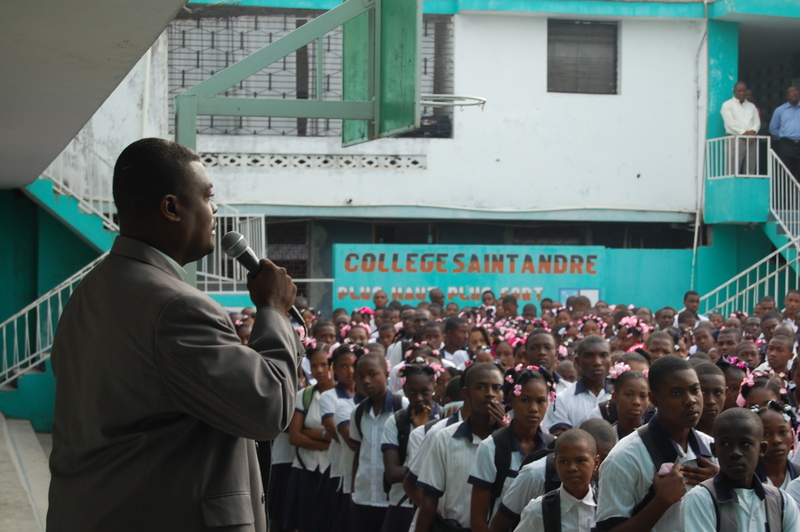 Saint Andre’s is considered one of the top two schools in the region. However, there is much work left to do. 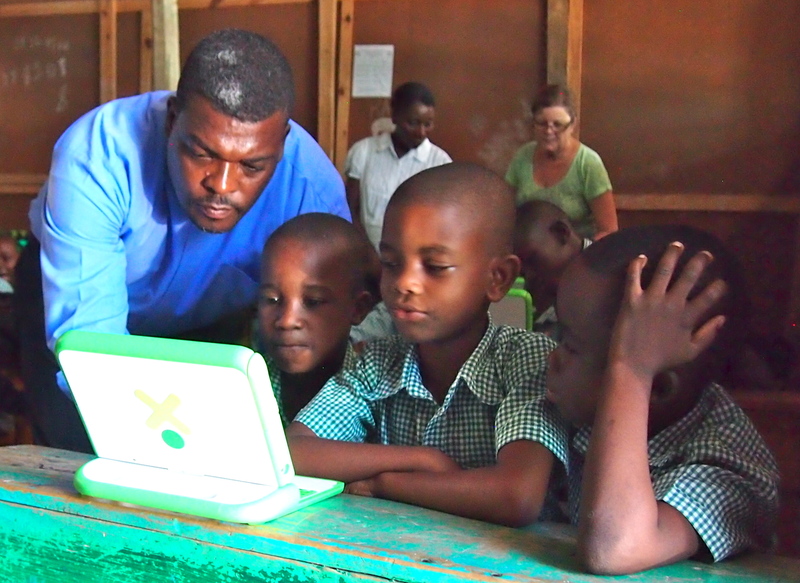 Under the leadership of the new priest, Noe Bernier, the partnership will be striving to implement a computer learning laboratory, an English language program and teacher training for both programs. St. Dunstan’s is not alone in its ministry in Haiti. Many American dioceses, parishes and schools support over 250 Haitian Episcopal schools. Our team has helped establish several new partnerships. There is coordination and financial accountability through the Haiti Episcopal Partnership Program. Our national church, through Episcopal Relief and Development, has made assistance to Haiti a high priority and has been a resource to us.